Southeast Asia’s most populous nation, Indonesia, is set to become a trillion-dollar economy as early as in two years, according to a forecast by US-based research firm IHS Global Insight. The outlook is based on the country’s current GDP growth rate of around 5.4 per cent annually which is expected to remain robust over the coming years, said Rajiv Biswas, Senior Director and Asia Chief Economist at IHS, at the World Economic Forum on East Asia that took place in Jakarta last month. The IHS researchers are calculating that Indonesia, which is already Southeast Asia’s largest economy, will increase its nominal GDP from the current $888 billion (16th largest economy worldwide, according to 2014 data by the International Monetary Fund) to $1.17 trillion by 2017, joining Asia’s trillion-economy nations China, Russia, Japan, India and South Korea. 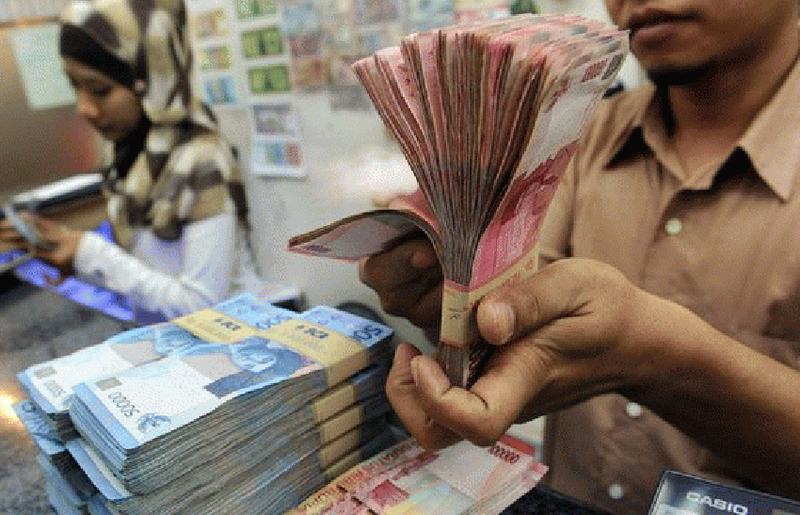 Further growth will raise Indonesia’s GDP to an estimated $2.1 trillion by 2023. By then, Indonesia will have surpassed Russia’s and Australia’s GDP, the IHS researchers predict, and probably also Spain’s, Mexico’s and Canada’s given the slower growth rates of those countries, and become one of the world’s top ten largest economies. By 2028, Indonesia’s GDP will have crossed the $3 trillion threshold, according to IHS calculations. The most important driving force for the Indonesian GDP surge is the country’s rapidly growing and readily consuming middle class, part of a total population of 255.5 million which makes Indonesia the fourth most populous country in the world behind China, India and the US. It is forecast that Indonesia’s GDP per capita will more than double to $8,700 by 2025 from the current $3,400, which will make the country one of the largest emerging consumer markets in the world. Observers say that economic policy changes, including higher government spending in infrastructure projects, better incentives for foreign direct investments, an improved business climate and a more conclusive monetary policy under the new government of President Joko Widodo are now starting to pay off. Cut of fuel subsidies also helped and contributed to lower government debt levels. However, more needs to be done in terms of on diversifying the economy away from its strong reliance on export of commodities such as oil and gas, coal, palm oil, rubber and other agricultural products, as well as minerals. Currently, Indonesia is the second largest coal exporter in the world behind Australia, the second largest exporter of palm oil behind Malaysia and the second largest exporter of natural rubber behind Thailand and has suffered from weakening prices for all those commodities and from weaker demand from China. The trade balance got another hit when oil and gas prices started to fall last year. In terms of foreign investment, Indonesia is currently preparing investor-friendly reforms including faster licensing procedures, the speeding up of public tenders and easier land acquisition processes for plants and factories. By further opening formerly widely restricted sectors such as telecom, electricity generation, pharma, healthcare, advertising and others to foreign investors and easing business licensing in power, infrastructure and agriculture, Indonesia hopes to receive more than $75 billion in investment by 2019, according to the country’s Investment and Coordinating Board, or BKPM. The largest foreign investors in Indonesia are currently Singapore, Japan, Malaysia, South Korea and the US. Qatar’s two biggest investments in Indonesia so far are Ooredoo’s majority stake in local telecom giant Indosat and QNB Group’s majority stake in Jakarta-based investment bank Bank Kesawan.